Herb Frerichs is General Counsel for Perdue Farms, where he is a member of Perdue’s Management Committee and directs Perdue’s Government Relations function. He is also Senior Counsel at Venable. 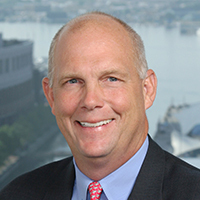 In addition to serving on the CMF BOD, Herb is a Trustee of The Boys’ Latin School of Maryland, Treasurer and member of the Board of the Hippodrome Foundation, and a Trustee of Athletic & Scholarship Programs for the United States Naval Academy. Under Gov. O’Malley, Herb was appointed to both the Appellate Judicial Nominating Committee and the Maryland Economic Development Corporation. He is a former member of the Maryland Chamber of Commerce Board of Directors and is currently active as a Board member of Virginia Chamber of Commerce.